We can’t imagine living in the colourless world. Colours have a deep impact on our lives and give a new dimension to our thoughts and perspective. In speech-language therapy, colours are taught as the part of the standard language battery. For adults, learning some mixed colours can be an easy task, but for kids understanding and learning about different colours could be a challenging task. 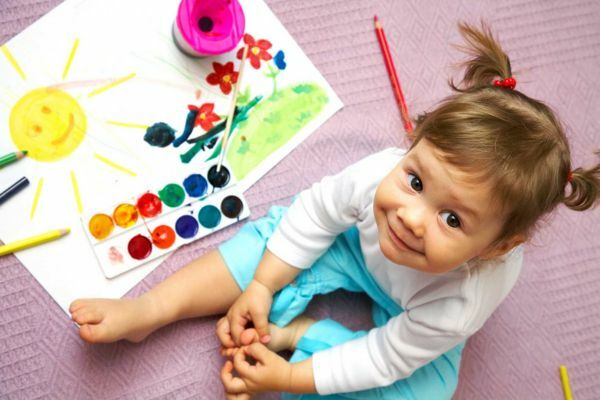 There are specific technics or methods for learning colours for kids. There are so many opinions and steps that can be conflicting to teach creating confusion over the minds of kids. It’s not that kids are mentally or have colour blindness, it’s about how you teach them and make their amateur mind understand. Logically, children start naming some colours as they near to four-year and at age of five children start naming at least four colours. The process can be tricky, but the result is achievable. Finding the rights steps for helping your child to learn colours is essential and this article is the best medium. 1) Using food for fun and languages by sorting out the colours is the best way to learning colours games. Prepare a mixed plate of snacks to kids and encourage them to sort out the plates accordingly. You can select different types of foods including fruits or salty snacks which comes different colours. This will surely work in helping your child to learn colours. 2) DIY colour photo books is yet another colour recognizing method where the child can gather objects with similar colours and take pictures of each. With this, you can help your kids in making a small colour photo book using album. Kids will certainly love seeing their toys and colour books. 3) Mixing up the colour milk is yet another learning colours games because milk is a great colour medium and connects well with kids. Using this technique, kids go creative and talk about new colours they make. You can ask them what colour you started with and ended with. 4) Learning colour worksheets are a great source of colour recognition. Kids can use different colour worksheets like a blue colour recognition worksheet, grey colour recognition worksheet, Green colour recognition, etc. Kids can fill the pictures as per the colours mentioned in the sheet. 5) Using colours into scavenger hunt is the great way to incorporate several colours and help kids learning colours games. Kids can also use reference sheet to hunt for objects matching the specific one from the list. Kids can also go for a hunt of yellow vegetables at the grocery store that can help in learning new vocabulary. Pass The Colour – It has the tune of Row, Row, Row your Boat and helps to identify which colour a child is wearing. We Love Colour – It has the tune of Head, Shoulders, Knees and Toes and the song is used for helping children identify colors. You can place the crayons in their front and pick out the colour singing about. Bright food is considered healthier and serving your kids with colourful foods will certainly help them to learn about colours. You can name the colour of the food as you serve which will help them to keep in their little mind. You can allow your kid to create the palette, adding bright food items. Before going for a walk, let your kid take a piece of construction paper to match the colour of the paper with leaves, pumpkins, apricot-coloured jacket, etc. Once back, let your baby draw pictures saw while on the walk. Helping your child to learn colours could be an exciting thing, but also a tedious job. Watching your little one learning new and unique concept of colours is the best thing because it will develop their mind. Learning colours for kids is a changing environment for them because their world is constantly growing and expanding.